On January 31, 1995, Mark Newton Spotz shot his brother Dustin to death during a fight at their mother's home in Clearfield County, Pennsylvania. At 6:20 a.m. on February 2, 1995, in York County, Mark Newton Spotz approached Penny Gunnet's vehicle on the pretense of asking Penny for directions. Spotz aimed a nine-millimeter semiautomatic pistol at Penny and forced her into the passenger seat. He then drove the car to Indian Rock Dam Road, an isolated area, while his girlfriend, Christina Noland, followed him in a car they had stolen from June Ohlinger in Schuylkill County. While the two cars were stopped on Indian Rock Dam Road, Noland heard three gunshots. Soon afterwards, Spotz sped off in Penny's car. Noland attempted to follow Spotz in the Ohlinger vehicle, but she was unable to keep up. Penny was eventually found under the wheels of her car, which had been abandoned by Spotz. Thomas Stover and Patricia Eisenhart, two motorists, both positively identified Spotz as the man they saw walking near the area where Penny's body was found. Juan Maldonado testified that, on the day of the murder, Spotz tried to sell him items of jewelry that had belonged to Penny. At that time, Spotz informed Maldonado that he had a nine-millimeter semiautomatic pistol that was “dropping them like flies.” After leaving Maldonado, and sometime before 4:00 p.m., Spotz abducted the elderly Betty Amstutz at or near her home in Harrisburg. Betty was a retired Lutheran deaconess. The time frame for the abduction was established in part by the fact that investigators found groceries requiring refrigeration on Betty's kitchen counter. Prosecutors introduced a tape receipt from a local grocery store indicating that her purchases were made on February 2, 1995, at 3:15 p.m. Over the next few hours, Spotz drove to various places with Betty Amstutz being held hostage, obtaining money, clothing, and lodging by use of her credit card and checking account. Thus, at 3:59 p.m. a bank employee in Harrisburg, cashed a $500 check for Betty Amstutz, who was accompanied by Spotz. A bank security camera filmed the transaction. At approximately 5 p.m. an employee of a sporting goods store in Cumberland County, sold Spotz and Ms. Amstutz $262.05 worth of Orlando Magic products, which were purchased with a credit card belonging to Betty Amstutz. At 5:26 p.m. an employee of a Camp Hill bank, cashed another check in the amount of $1,139.95 for Spotz and Ms. Amstutz. A bank security camera filmed that transaction as well. Finally, at 6:04 p.m., Betty Amstutz and Spotz checked into the Knight's Inn in Carlisle, Pennsylvania using Betty Amstutz's credit card. Shortly thereafter, at approximately 6:30 p.m. a woman and her daughter were driving on McClures Gap Road in Carlisle, Pennsylvania, where they saw a white male standing near a car matching the description of the vehicle owned by Betty Amstutz. The car was parked at the location where Betty Amstutz's lifeless body was discovered the next day. Other evidence was introduced proving Spotz's familiarity with the area where Ms. Amstutz's body was found. Specifically, Spotz had previously received a traffic citation and met friends on a bridge on that road. After his arrest, Spotz falsely denied ever having been on the road. Later that evening, Spotz and a friend, Charles Carothers, invited Michelle Rhinehart, the mother of Spotz's two children, to join Spotz in his room at the Knight's Inn in Carlisle. There, Spotz, Carothers and Rhinehart smoked crack cocaine purchased by Spotz. Spotz then gave $200 cash and some rings belonging to Penny Gunnet to Rhinehart and gave Ms. Amstutz's car to Carothers. Carothers left Rhinehart and Spotz in the hotel room and drove in Ms. Amstutz's car to the apartment of Rhinehart's sister and her friend. The next morning, an employee of a tree service accidentally discovered Ms. Amstutz's body on the side of McClures Gap Road and contacted local authorities. Police investigated the scene and broadcast information concerning Ms. Amstutz's missing vehicle. Later that morning, Rhinehart's sister and her friend were en route to the Knight's Inn to pick up Rhinehart and Spotz, at Carothers' request. The police stopped them because their vehicle matched the description of Ms. Amstutz's vehicle. Police learned from the two women that Spotz was staying at the Knight's Inn. When Spotz opened the door to the room, he discarded a silver nine-millimeter semiautomatic pistol and surrendered to the police. A subsequent search of the room yielded Spotz's bloodstained jeans, a knife, nine-millimeter “full metal jacket” ammunition, five credit cards issued in Penny's name and one credit card issued in Penny's husband's name. Ms. Rhinehart's fingerprint was found on one of the credit cards. Corporal James Rottmund of the Pennsylvania State Police, a ballistics expert, testified that two full metal jacket bullets that were recovered from Penny's car were conclusively fired from the gun seized from Spotz. Dr. Isidore Mihalikis, a forensic pathologist, testified that Penny died from two gunshot wounds. One bullet passed through Penny's neck, severing her jugular vein, piercing a carotid artery, and severing her spine before exiting the body. Another bullet entered her chest and pierced her heart and lungs before exiting the body. Dr. Mihalikis further testified that there were three bullet holes in Penny's vehicle. When Spotz was arrested, he was found to have sustained a self-inflicted bullet wound to his thigh. The wound matched the trajectory of bullet holes in Spotz's jeans, in the driver's seat and in the floor of Penny's car. Spotz's accomplice, Christina Noland, testified for the Commonwealth. She related that, at the time Spotz abducted Penny, they were escaping because Spotz had shot his brother on January 31, 1995. She further testified that, prior to abducting Penny, she and Spotz had committed a similar flight-induced crime in Schuylkill County. Specifically, abducting June Ohlinger from a convenience store, they forced her into the passenger seat of her car at gunpoint, stole her jewelry from her fingers, drove her to a remote, wooded area and shot her in the back of the head, then threw her body off of a bridge. They then dumped her belongings at a car wash and stopped at a Wendy's restaurant for burgers as they drove to a beach in Delaware where they walked hand-in-hand. Commonwealth witness Dr. Richard Bindie, a board certified anatomical and clinical pathologist and forensic pathologist, testified that Mrs. Ohlinger had sustained a gunshot wound to the back of the head consistent with the use of a full-metal-jacket bullet. Ms. Noland testified that she and Spotz took Ms. Ohlinger's car and money and drove to Rehoboth Beach, Delaware. In Delaware, they attempted to alter their appearances before returning to York County in search of another vehicle and money for gas. Unfortunately, they happened upon Penny Gunnet. Carothers testified that Spotz confessed that he had shot his brother and had killed “these other ladies.” Spotz told Carothers that he had thrown one woman off of a bridge and “the other lady he ran over with her car and she got stuck under it.” Carothers also testified that Spotz was in possession of the silver nine-millimeter semiautomatic pistol that was later identified as the weapon that fired at least two of the three nine-millimeter bullets recovered from Penny's car. The bullets used to kill Ms. Amstutz also matched those that were used to kill Spotz's three previous victims, Dustin Spotz, Penny Gunnet and June Ohlinger. Spotz was convicted of involuntary manslaughter in Clearfield County, arising from the killing of his brother, Dustin. He was sentenced to death for the murders of Betty Amstutz, Penny Gunnet and June Ohlinger. In the early evening of December 14, 1983, Ronald Ray Post met with Jeff Hoffner in Elyria, Ohio. They picked up Ralph Hall, who brought with him a .22 caliber handgun. The three drove around in Post's car, discussing the possibility of robbing several establishments in the area. The three made an unsuccessful robbery attempt on the manager of an IGA in North Eaton, Ohio. Driving back to Elyria, they discussed robbing the Slumber Inn and decided to investigate the possibilities. Post parked in the lot next to the inn and went inside while the other two waited in the car. Inside, Post found Carol Bokar, a previous acquaintance, working as the desk clerk. He told her he had come to inquire into room rates and that he might need a place to stay. When Post returned to the car, the three decided not to rob the Slumber Inn. Post returned Hall to the Colonial Motel at which time he obtained Hall's handgun. Post then dropped Hoffner off in Elyria. Alone, and without the knowledge of Hoffner or Hall, Post returned to the Slumber Inn where he initiated another conversation with Carol Bokar. Carol introduced him to Mrs. Helen Vantz, who was to relieve Carol on the desk shift. Post accompanied Carol as she checked motel rooms for a possible problem. Carol then reported the day's activities to Helen and told her that Post might return for a room. Post and Carol left together and proceeded to the Jackson Hotel where they met Sandy Collins, a friend of Carol. They stayed until about 2:15 a.m. At approximately 3:00 a.m., Post, armed with the handgun, returned alone to the Slumber Inn. His plan was to kill Helen Vantz and steal whatever he could find. At the Slumber Inn, Post engaged Helen in conversation until past 4:00 a.m., when she made a wake-up call to room number 30. Her next wake-up call, scheduled for 6:00 a.m., was never made. Sometime between 4:00 a.m. and 6:00 a.m., Helen, while sitting at her desk working on the nightly accounts, was shot in the head from behind by Post. Post shot her a second time to make sure she was dead. The body was later found, slumped at the desk, a pencil clasped in her hand. After shooting Helen, Post collected certain items of value, including a bank deposit bag containing approximately $100, and Helen's handbag. Post then drove to North Ridgeville where he met with Ralph and Debbie Hall. Post told the Halls what he had done and gave Ralph the gun for disposal. Post then went to the home of James Harsh in order to persuade Harsh to say that Post had been at the Harsh residence between the hours of 2:30 a.m. and 7:30 a.m. that day. Later, Post admitted to Harsh that he had killed and robbed Helen Vantz. Harsh then refused to support the alibi. Post also admitted his involvement in the crime to several others. Post admitted to two Elyria police detectives that he had told Thacker he was the perpetrator of the crimes. 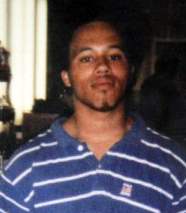 On May 8, 2007, Robert Charles Gleason, Jr. fatally shot Michael Kent Jamerson to death off of Virginia 130 in westerm Amherst County, Virginia. A turkey hunter found his body in a wooded area. He was shot four times; twice to the head and twice to the body. The murder weapon was found on the banks of the James River by a college student who was fishing there. Gleason was part of a methamphetamine drug ring and believed that Jamerson was going to cooperate with the government against the ring. At trial, Gleason burst out with a string of profanities, denouncing the court and was removed. Shortly thereafter, he told the judge he wanted to just "get this over with today" and pled guilty to the murder. Two years to the day after the Jamerson murder, Harvey Watson was murdered at Wallens Ridge State Prison. His cellmate, Gleason, was serving a life plus three years sentence for the Jamerson murder and was charged with the "willful, deliberate, and premeditated killing of any person by a prisoner confined in a state or local correctional facility," a capital offense. On December 21, 2010, following an evaluation to confirm his competency, Gleason pled guilty to the murder of Watson in the Circuit Court of Wise County. Gleason confessed under oath, stating that he planned the murder to occur on the two-year anniversary of a previous homicide that he had committed. Gleason admitted to binding Watson with torn bed sheets, beating him, taunting him about his impending death, shoving a urine sponge in his face and a sock in his mouth, and finally strangling him with fabric from the sheet. According to Gleason, he concealed the body in his cell for fifteen hours, making excuses for Watson's failure to emerge. Gleason further stated that he planned, once rigor mortis had passed, to dispose of the body in the garbage that was circulated to pick up food trays. Gleason was unsuccessful in disposing of the body before Watson was discovered by prison personnel. Throughout the circuit court proceedings, Gleason consistently repeated that he had no remorse. Rather, knowing that the premeditated murder of an inmate and more than one murder within a three-year period was punishable by the death penalty in Virginia, he commented to the court that he "already had a few other inmates lined up, just in case I didn't get the death penalty, that I was gonna take out." Following Watson's death, Gleason had been moved to solitary confinement in Virginia's "supermax" Red Onion Prison. On July 28, 2010, Gleason was in a solitary recreation pen that shared a common wire fence with that of Aaron Cooper. Gleason asked Cooper to try on a "religious necklace" that Gleason was making. Gleason proceeded to strangle Cooper through the wire fence, repeatedly choking Cooper "'til he turned purple," waiting "until his color came back, then going back again" until Cooper finally expired. Gleason described himself laughing at the reaction of the other inmates. He then watched and mocked the prison staff attempting to revive Cooper. Cooper was serving a 34 year sentence for carjacking and robbery. Gleason was charged in the capital murder of Cooper for "the willful, deliberate, and premeditated killing of more than one person within a three-year period." On April 22, 2011, Gleason pled guilty to the murder of Cooper. He informed the court that he had deliberately targeted Cooper so as to make a point to the prosecutor and as a favor to another inmate who was to be released soon, so that the inmate would owe Gleason, and Gleason would then have someone outside the prison to do his bidding. After accepting both guilty pleas, the court conducted a multi-day joint sentencing proceeding, considering evidence and argument by counsel and Gleason. The court also reviewed a pre-sentence report, Gleason having waived a post-sentence report. The court fixed Gleason's sentences at death, finding the aggravating factors of both vileness and future dangerousness in both cases beyond a reasonable doubt, and concluding that these factors were not outweighed by mitigating facts.